Plan to join us Sunday, December 23rd at 4:00 pm for a Gospel concert benefitting S.P.Y. (Safe Place for Youth) in Venice. 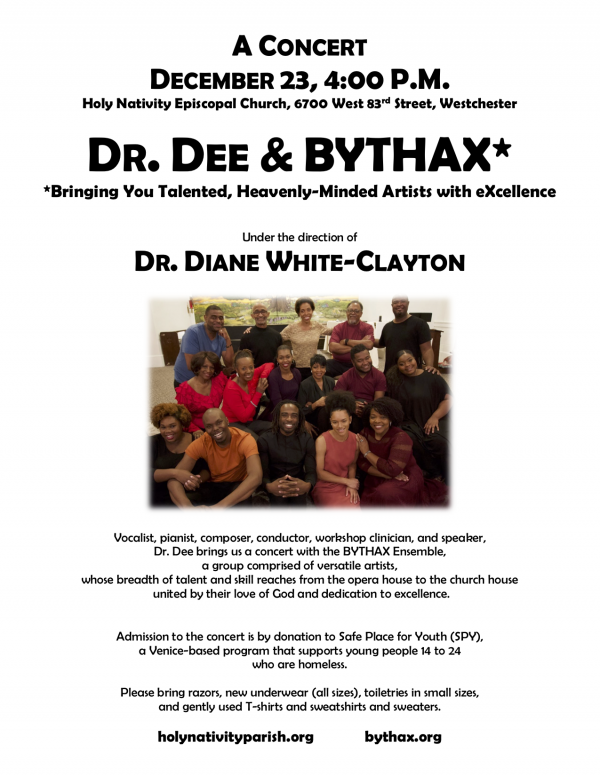 Dr. Dee's gospel choir is always an amazing treat, so grab some supplies for the homeless youth in Venice and mark your calendars. This is a concert you won't want to miss and a wonderful way to celebrate the season!